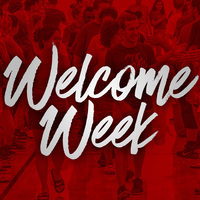 Check your personalized schedule from Welcome Week Check-in or the UofL New Cards app to know where to report at 10 a.m. This event will consist of two components that support your success as a UofL student: Small group meetings: All first time freshman will meet in a small group with your peer mentor. Arts and Sciences students will also meet your orientation course instructor at this time. The Other 4.0: Based on Jullien Gordon's TED Talk and book, 101 Things To Do Before You Graduate, this presentation empowers college students to maximize college and minimize debt.